Homeopathic remedies will help a person with the flu relieve their flu symptoms, effectively, quickly and naturally. 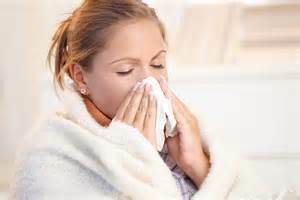 Read About Homeoprophylaxis Instead of Toxic Flu Vaccines Here! A state of fear, anxiety; anguish of mind and body. Restlessness. Sudden and great sinking of strength. Complaints and tension caused by exposure to dry, cold weather. Eyes feel dry and hot, as if sand in them. Pain at root of nose. Tingling in cheeks and numbness. Gums hot and inflamed. Tongue coated white. Vomiting, with fear, heat, profuse sweat and increased urination. Bitter taste of everything except water. Intense thirst. Cough, dry, short, hacking; worse at night and after midnight. Tingling in chest after cough. Respiratory problems, rattling of mucus but little expectoration. Thirst for cold water but little and often. Great drowsiness. Influenza with thin, watery and excoriating nasal discharge. Sneezing. Photophobia. Restlessness. Intolerance of smell of food. Rapid onset. Sinks rapidly into stupid state. Dull red face – person looks drugged and out of it. High temperature with red face. Drops asleep while answering questions. Gastric flu: sudden attacks of violent diarrhea and vomiting. Great prostration. Excessive irritability. Dryness of all mucous membranes. White tongue. Great thirst for large quantities of water. Constipation. Dry cough. Joints red and swollen. All complaints are aggravated by motion. Excessive irritability and impatience specially in children. Violent earache. Diarrhea of children during dentition. Tickling cough. For flu aggravated by the transition from summer to fall. This is one of the best remedies in the acute form; the eyes are suffused, the throat is sore and the cough hurts because of the muscular soreness. Brought on by damp, cold changes in the weather. Intense aching limbs and back – as if bones were broken. Can have soreness of flesh. Bursting headache. Dare not to move because of the pain. Shivering; chills in back. Chill begins 7 - 9:00AM. Eyeballs sore. Similar to Allium in all respects with profuse bland nasal discharge and acrid, scalding tears which is reverse with Allium. An eye remedy, conjunctivitis with violent attacks of profuse secretion stinging eyes, dust or sand in the eyes. Headache better by cold applications. Eyes red, inflamed, with burning sensation. Face flushed; cheeks sore and hot. Ulcerated sore throat. Tonsils red and swollen. Eustachian tubes inflamed. Congestions of lungs. Expectoration of pure blood in pneumonia. Palpitation; pulse rapid. Restlessness and sleeplessness. Most commonly used remedy: Acute influenza (flu) or sore throats, with weakness, limp limbs, chills, fever, headaches with double vision, and heavy, drooping eyelids. There may be a lack of thirst, even during fever. Slowly developing acute coryza days after an exposure to warm moist, relaxing weather. Frequent sneezing with fluent excoriating coryza, sore throat, difficulty of swallowing; dry, tickling cough; a feeling of hot water passing through the nostrils; relieved near the fire; general prostration. Initial stage, caused by dry cold weather or by sitting on cold steps or in cold places. Headache in sunshine and on waking in the morning. Right sided complaints. Sneezing, nose stuffed up at night and in open air but fluent in a warm room and during day, with scraping rawness in the throat. Dullness or oppression in the frontal sinuses and watering of the eyes. Mouth is dry but no thirst. Taste of mouth keeps changing. Secretions from eyes, nose and mouth are all thick. Measles. "Ripe cold" in which the discharges are green and bland, not in the least excoriating; bad smell in the nose, as of old catarrh. Secretions from eyes, nose and mouth are all thick. Measles. Extreme coldness, blueness and weakness. Pale face. Painful diarrhea followed by great weakness.